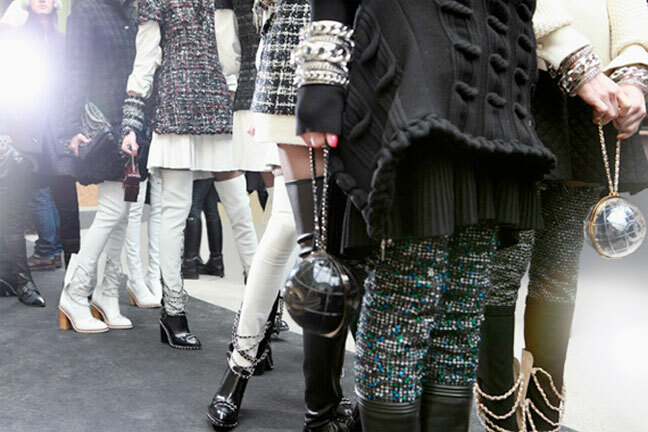 chanel’s fall runway was a hike around the literal world. the set had models walking around a large, rotating globe in the grand palais. 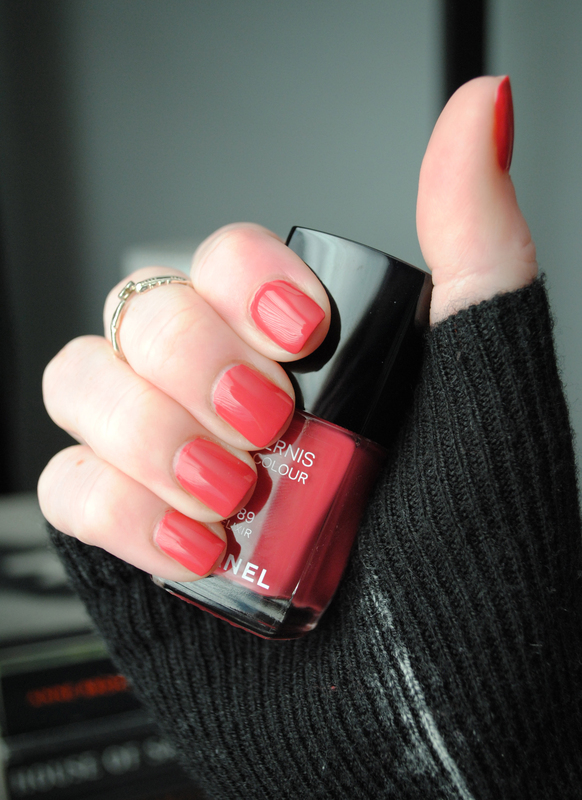 on the nails was a new shade called elixir, which has just been released with the rest of chanel’s fall offerings. 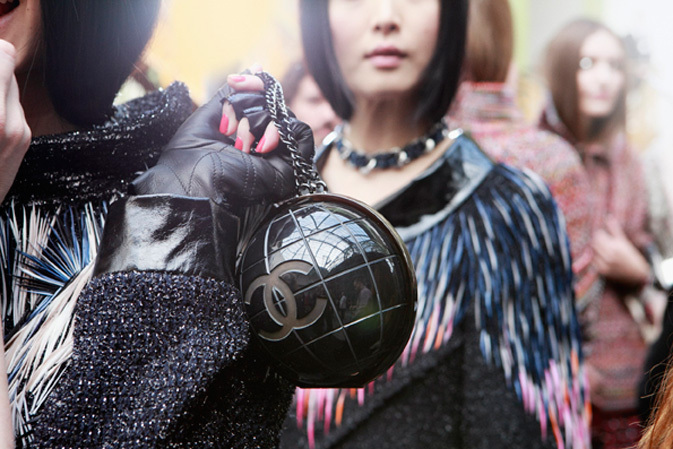 just look at these little globe purses. the beauty look, modeled here by sigrid agren and jacquelyn jablonski, was a memorable one per chanel’s usual, with the sparkling eyelids, chunky chains, and furry … helmets. if you’d like to buy elixir, or any of the fall chanel polishes, you can do so here. also, i’m curious to know your thoughts on whether the polish color suited the collection. what do you think? on the spot or should it have been something different?